The EasyLock is a simple but incredibly strong temporary door lock. The lock-core is manufactured from chromium plated steel encased in ABS plastic. The latch plate is manufactured from high strength Stainless Steel as is the sliding mechanism ensuring that the lock will never fail under attack. Incredibly simple to install, only seconds to activate, the Easy Lock will prevent anyone, even with a key, from opening the door. This means that if you are staying away from home in a hotel, rental home or apartment, student dormitory or even if you need extra security on your own home on a door that may not have it’s own lock the Easy Lock will hold the door secure. Additionally the EasyLock has a unique feature which means that if someone knocks on the door and you are not sure who they are you can easily open the door sufficiently to identify them or receive a note or identification. 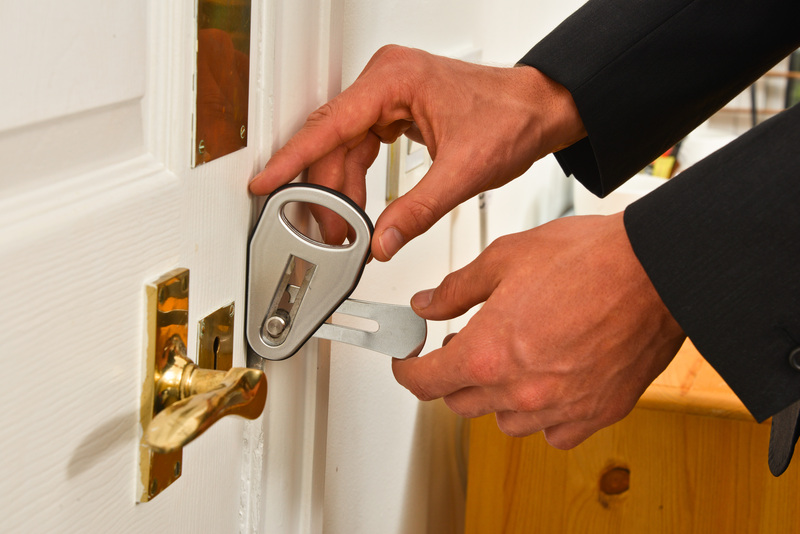 The EasyLock is one of the most secure methods of temporarily securing a door. It is lightweight, lighter than an Iphone. It is strong, steel based. It is incredibly simple to utilise. The EasyLock is a simple but incredibly strong temporary door lock. The lock-core is manufactured from chromium plated steel encased in ABS plastic. The latch plate is manufactured from high strength Stainless Steel as is the sliding mechanism ensuring that the lock will never fail under attack. Incredibly simple to install, only seconds to activate, the Easy Lock will prevent anyone, even with a key, from opening the door. This means that if you are staying away from home in a hotel, rental home or apartment, student dormitory or even if you need extra security on your own home on a door that may not have it’s own lock the Easy Lock will hold the door secure. Additionally the EasyLock has a unique feature which means that if someone knocks on the door and you are not sure who they are you can easily open the door sufficiently to identify them or receive a note or identification. 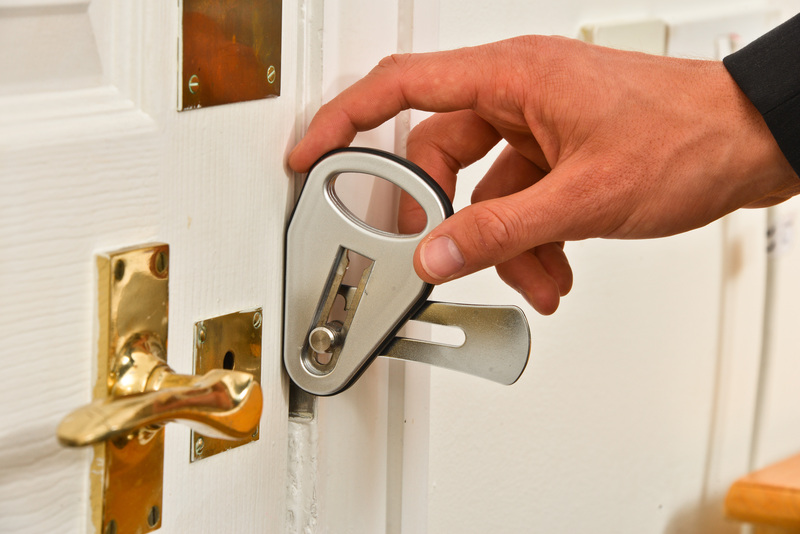 The EasyLock is one of the most secure methods of temporarily securing a door. It is lightweight, lighter than an Iphone. It is strong, steel based. It is incredibly simple to utilise. My Easylock has proven most useful in providing a sense of real security on many an insecure door. It will only secure inward opening doors, therefore some public convenience cubicle doors couldn’t be secured with my Easylock. I cannot however fault this product in either build quality or the overall strength of this well designed temporary door lock. The lock is supplied with a nice solidly made thick woven pocket-style case. I wouldn’t hesitate recommending the Easylock to anyone looking for an effective and reliable personal privacy device. CONCLUSION: Worth Every Penny! The Easylock will not fall apart on you, when you need it most!